This pretty little design has been used as symbols for many things. 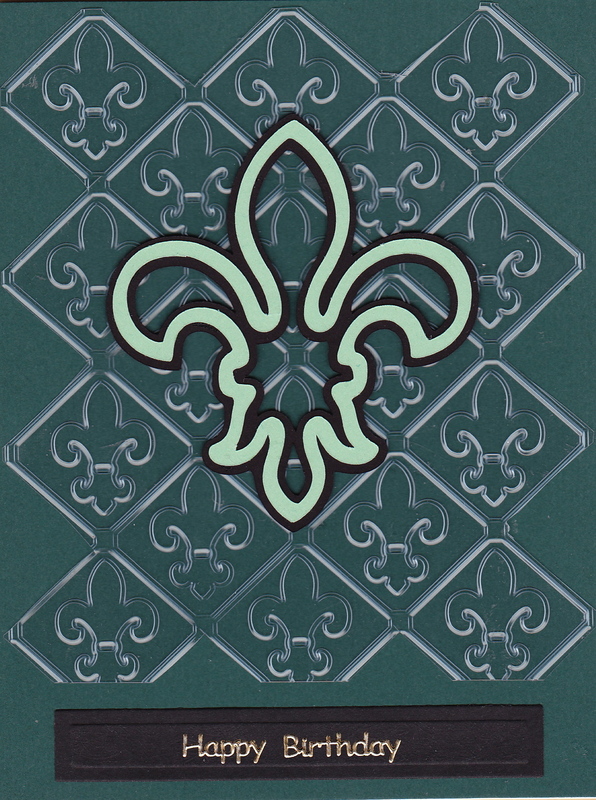 Traditionally, the French royalty used the fleur de lis (meaning flower lily) as well as the British Kings in their coat of arms. It has been used symbolically in religion and the boy scout logo! I made this card with plastic from a strawberry container–I am recycling! You sent me a similar card and I love it! Who would think something so simple could be so pretty. You are so clever! It’s pretty and decorative. Thanks for your nice words.